The contracts were given when Lalu Yadav was railway minister. 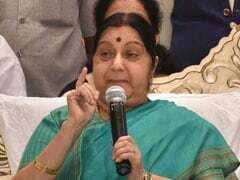 Mr Yadav, who was summoned by the CBI for the second time to appear before the investigating team, sent his lawyer who submitted the request seeking two weeks time for questioning, the CBI sources said. 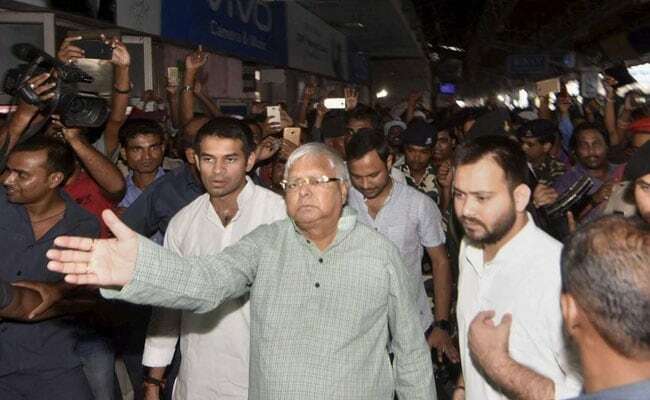 New Delhi: RJD chief Lalu Prasad Yadav has sought two weeks to appear before the CBI for questioning in connection with a case of alleged graft in giving the maintenance contract for two Indian Railways (IRCTC) hotels to a private firm, sources said today. The lawyer did not say anything about Tejashwi Yadav, the RJD leader's son and former deputy chief minister of Bihar, who is summoned in the case tomorrow, they said. They had been called on September 11 and 12. Lalu Yadav did not turn up, citing an ongoing court case in Ranchi where his presence was required, while Tejashwi claimed he had political commitments to take care of. The FIR alleged that the RJD leader, as the railway minister, abused his official position for extending undue favours to the Kochhars and acquired a "high value premium land" through a benami firm Delight Marketing Company. As a quid pro quo, he "dishonestly and fraudulently" managed award of leasing of the two hotels.